A $750 deposit is required for Sala da Vinci bookings. A $500 deposit is required for Heritage Hall bookings. Bar open between 5:30 p.m. to 1:00 a.m.
*Note: No hall rental charge on weekdays for stag and shower plates. Special dinners are subject to basic rental charges on Fridays and Saturdays. 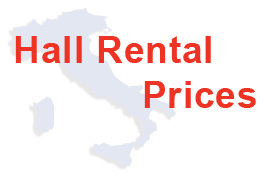 Basic $400.00 rental charge on Friday and Saturdays – Sala Da Vinci. Basic $300.00 rental charge on Friday and Saturday – Heritage Hall.